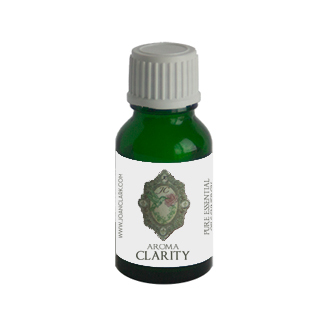 Aroma*Clarity is our synergy that supports the clarity, focus and commitment to the higher mind. It assists with keeping the mind in a state of union with a consciousness that is inspired by the I AM consciousness, in present moment time. It is beneficial for the mind that has fallen from this place of clarity, focus and has lost memory of its authentic self. It assists with concentration, clear thinking, studying, and recovery from some dizziness, forgetfulness, etc. Contains: Basil, Clary Sage, Lemon, and Rosemary.